James Watt's improvement of the steam engine is credited for driving the Industrial Revolution. Watt was a prolific inventor and is highly respected for the originality of his thinking. 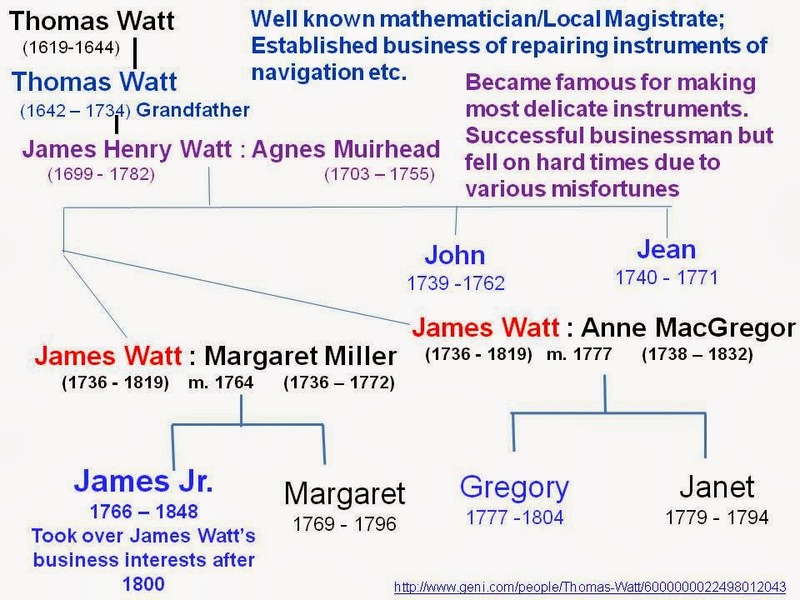 James Watt's family tree is given below. I shall have occasion to write much more about James Watt as I prepare his biography for my talks on Great Scottish Inventors for Strathclyde Centre for LifeLong Learning and for my Science for All programme in East Kilbride. The talks will take place in July/August 2014.